A promotional enamel metal mug printed with your logo. 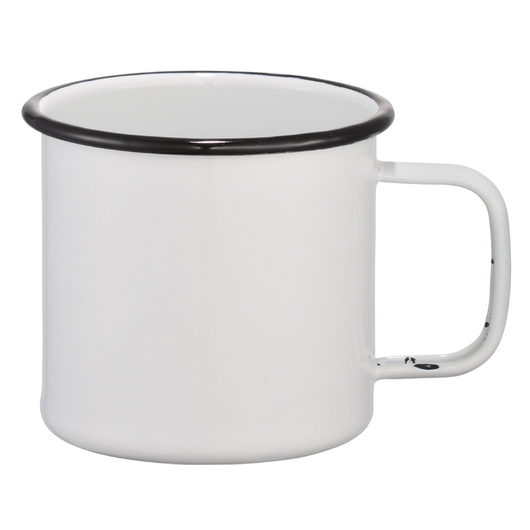 Enjoy your favourite cuppa wherever you go with these resilient enamel metal mugs. Perfect for camping, BBQ's, picnics and much more! They're extremely impact resistant, designed to take a beating and feature a durable enamel-look finish. 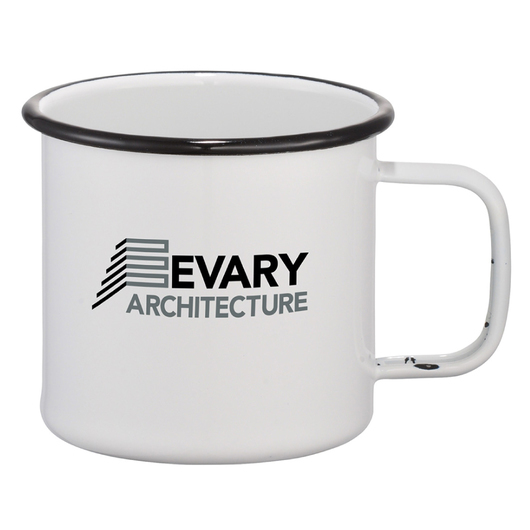 They have an excellent surface for logo branding and host a contrasting rolled rim for sipping comfort and aesthetics.